Cecilia Guardiola, RN, has an impressive resume as a hospital compliance expert. However, recently, she’s been having trouble landing a job. It seems that once hospitals do a background check on Ms. Guardiola, she rarely hears from them again. That may have something to do with the three whistleblower lawsuits she’s filed against former hospitals that have employed her in Texas, Nevada, and Arizona. These medical facilities have paid almost $33 million in total to the federal government to settle those cases. Ms. Guardiola filed these cases under the qui tam provisions of the False Claims Act. 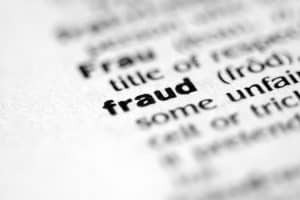 The False Claims Act allows individuals or entities to sue parties on behalf of the United States if they have evidence of fraudulent activity against federal programs or contracts. These are also called qui tam cases, and the federal government may elect to join or decline to take part. If the government declines, the plaintiff is free to act on their own and, if successful, is entitled to a percentage of the recovery amount. In all three of the lawsuits brought by Ms. Guardiola, she alleges that the hospitals where she worked charged Medicare and Medicaid for inpatient stays, when those visits should have been billed as less expensive outpatient care. First, in 2008, while working as director of case management in Corpus Christi, Texas, she sued Christus Health. She claimed that patients undergoing a cardiac procedure were routinely billed as inpatient when they should have been billed as outpatient. In her allegations, she said hospital executives ignored her concerns before she resigned from her position in 2007. About four years after filing the lawsuit, Christus Health settled with the DOJ for $5.1 million. Ms. Guardiola collected $1.02 million from that settlement as part of the qui tam provision. In 2009, Ms. Guardiola took a job as director of clinical documentation at Renown Health in Reno, Nevada. After resigning in 2012, she filed another qui tam lawsuit, alleging Renown was overcharging Medicare. Renown settled the Medicare false claims allegations for $9.5 million, and Ms. Guardiola collected $1.7 million from the settlement. And, most recently, in a case that was settled this past April, Ms. Guardiola filed a qui tam suit against Phoenix-based Banner Health. She was employed by Banner for three months beginning in October 2012 as director of corporate documentation, but resigned three months later. She alleged that 12 of Banner’s hospitals in Arizona and Colorado submitted false claims to Medicare. Banner settled with the government for $18 million, and Ms. Guardiola will collect $3.3 million. Ms. Guardiola has done the federal government a favor, even if it has made it harder for her to find a job. By filing these claims, she has not only stopped multiple hospitals from violating the law; she has helped patients who have been subjected to overbilling. There are strict rules for filing a whistleblower or qui tam case. If you believe your employer is committing fraud, contact one of our Phoenix whistleblower attorneys as soon as possible so we can investigate your claim. You can reach Plattner Verderame, PC by calling 602-783-8793 or filling out our contact form.